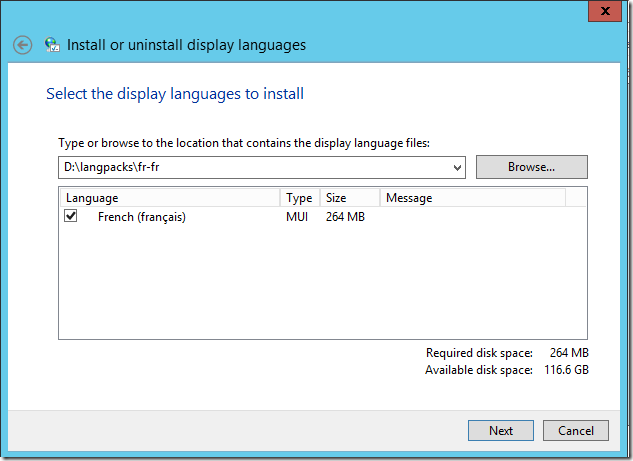 If you installed an English version of Windows Server, then you can add additional display languages. First, download the language pack from Microsoft. You can find it at the Download Center. You can download either the entire Multilingual User Interface (MUI) ISO or one specific language file. Press the Windows and R key in order to run a command then type lpksetup and press Enter. 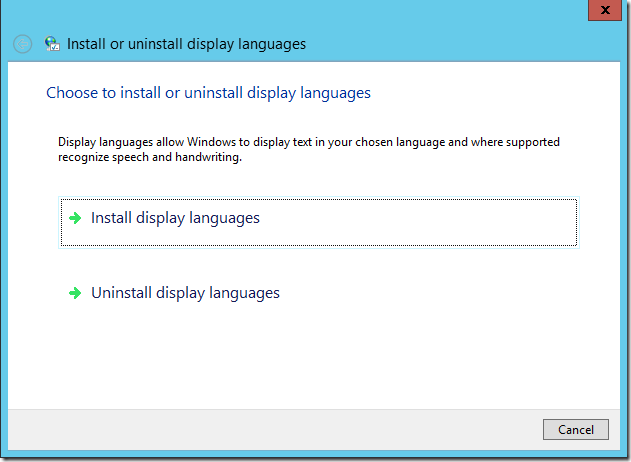 The Install or uninstall display languages wizard will appear. 3. Click on Install display languages. Next, click on the Browse button and select the lp.cab file. 4. Click on Next when the lp.cab file is loaded. 5. Accept the license terms and click Next. The selected language pack is being installed. 6. Click on Finish and then select the new language to display. Check the “Apply display language to welcome screen and system accounts” check box and click on Change display language button. what can we do in the situation of Mulitiuser? Merci. Tout ça n’était pas expliqué aussi simplement chez Microsoft.